Joe Cornish is one of the foremost landscape photographers and Eddie Ephraums is one of the best book producers, so, is this book great? We have an exclusive interview with Ross Hoddinott, one of UK’s leading professional outdoor photographers and writers. 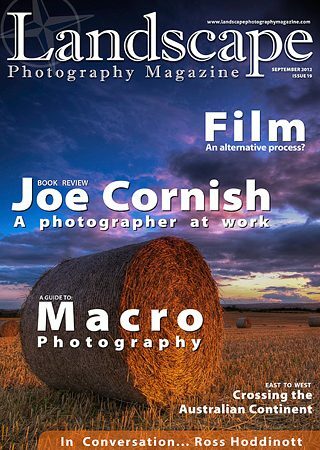 Ross Hoddinott has written a superb guide and landscape photographer’s introduction to close-up and macro photography for LPM. Do we start making an image with a ‘Concept in mind or do we just search for an aesthetically pleasing subject? We live in a digital era with modern and well made cameras. So, is it a good idea to get back to using film or should we wake up to reality? This question will keep you awake at night if you are not careful, nag at you and cause you falsely to alter your stance if you do not take care. Should we consider photography art or craft? Can we put our precious photographs on the same lever and quality as paintings? What is it that you really like in a picture? Does it make any difference if that picture has been set up or manipulated? When seeking great images, nothing beats simple time in the field. You increase your chances if you are out there photographing.